Kemar Roach became the thirteenth WINDIES bowler to reach 150 Test wickets, joining an elite list of WINDIES Legends, the likes of Courtney Walsh, Curtly Ambrose, Michael Holding and Malcolm Marshall among others. Roach expressed his honour in joining this elite group and is looking forward to continue playing and taking wickets for the WINDIES. 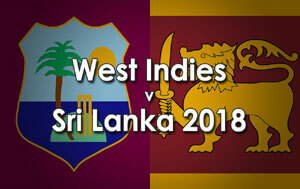 The WINDIES are currently playing a three-match Test series against Sri Lanka and will next host Bangladesh in 2 Tests, 3 One Day Internationals and 3 Twenty20 Internationals from July 4-August 5. Please see link below of the full interview with Kemar Roach on his achievement.